Most obviously, that the team recognizes the situation they’re in and are moving to ensure the long-term success of the franchise rather than consider it an anomaly correctable with a signing or two. There was always a danger that Melnyk could consider this team two or three key pieces from contending again and try for another season of “Anything can happen in the playoffs.” That he stepped up to lend some clarity to the situation, and is willing to make the hard choices required when a team falls apart, is encouraging. He should be happy: his interview will do exactly what it was designed to, which is reassure a pissy fan base that the right decisions will be made. Also, that Murray isn’t going to be kicked out of the organization. He was apparently asked to stay on one more year (meaning he didn’t necessarily want to), so I’m glad he won’t take all of the blame for this collapse. The Sens will retain his mind for drafting while moving in a new direction. Lastly, the preliminary interviews for a replacement GM have already started. That, combined with the notion that they did some consultation with key fans and corporate sponsors, means that this has been brewing for a while. A rebuild requires methodical planning, and Melynk is saying all the right things. What gives me pause is that it’s Melnyk doing all of the planning. He’s already been accused of meddling too much in hockey operations, with some even going so far as to say signing Kovalev was his idea. (Who knows if that’s true.) But, to find out that this billionaire pharmaceuticals magnate is slaving night and day over a plan to bring a Stanley Cup to Ottawa…that sort of terrifies me. The last thing you want is a fan – even a very rich one who happens to own the team – drafting the plan for a team’s success. Lastly, with the team happening to go off the rails this year, it looks like we might have just missed the chance to make Ottawa boy Stevie Yzerman our GM. It was probably never going to happen, and they couldn’t have known the team would be this bad, but seeing how much success Steve is having in Tampa and knowing that we’re in the market for a GM six months later stings a little. In my opinion Melnyk believed that this team was, as you mentioned, 2 or 3 players away since they made it to the big dance. Acquiring 1 key player is a tall order. 3 is borderline impossible. We’ve all heard this at least a billion times: building from within and the draft is the way to go in the cap system. Signing past-their-prime Russians is the wrong way to build a winner. While I am happy with Melknyk’s “announcement” that it’s time for a new plan/rebuild, I feel that they should have worked on this earlier. I know that it’s easy to say that in retrospect. My blind faith in this team made me believe that they could compete at a high level all season and surprise a few people along the way. I deleted the Hockey News app on my Blackberry and labeled everyone as haters. We all know that the Eugenius gets heavily involved with this team. Wouldn’t you if you were a billionaire fan boy with your own pro franchise? Any owner has the right to make suggestions but the decisions should be left with the people he hired to run the team. I’m sure he had some heavy influence regarding the Kovalev signing. His lobbying for this forward surely served as a sobering lesson to Barbados man that his responsibility is money, and not hockey operations or scouting. Best of luck to Murray in terms of trading some of the older assets to contending teams. A few of the current roster players can really help any team in a playoff spot. It will be interesting watching the Sens until the end of the season. I say bring as many kids up from the farm as possible and let them get that experience. It can’t get any worse. Yes, this is all good PR. What piques my interest is that does the ease with which Eugene assuage our fears mean the flaws in this team are obvious? What if they aren’t? Okay this team stinks and most armchair pundits, myself included, can point to any number of obvious faults. Melnyk’s insistence on having the right plan in place is re-assuring yet at the same time it gives me a little too much of the “all the eggs in one basket” vibe. Murray had a plan for this off season and it didn’t take. Melnyk signed off and the team promptly went titanic. What type of interviews are being held when Murray is sticking around and the owner has a plan in place already? Why would any competent GM want this job if it’s just holding the strings or worse, to act as the fall guy. You can’t fire the owner. The reassuring thing here is that the top five prospects in the draft are all similarly skilled and can help the sens. We don’t have to win the lottery. Cause let’s face it, Ottawa isn’t winning anything right now. I think part of the reason that our fears are somewhat easily laid to rest, is that the Sens fans are just happy to know that something is going on, plans are being made and change is on the horizon. Before this announcement the last time we had heard from Melnyk, he was still talking about making a push for the playoffs. Melnyk is making the right move by keeping Murray and Clouston in their positions for the remainder of the season. The way the Sens have been tanking, it doesn’t make sense to put a new coach behind the bench only to have the blame of this season placed on his shoulders as well. I also like the plan of Murray stepping away from the GM position, but being maintained as a consultant. He has brought in some good players in the draft the past few years. I don’t envy him the job of getting rid of our old Russians, Phillips, et al but I am really hoping that we keep Alfie. Marc, I agree that we should play as many as the Bingo kids as possible. As long as they aren’t getting injured, it is great experience for them. There is no better conditioning for the big leagues than to play in them. So far the only name that I have really heard thrown around for a new GM in Ottawa is TSN’s Pierre McGuire. I would be curious to know who else they are talking to for these preliminary interviews. 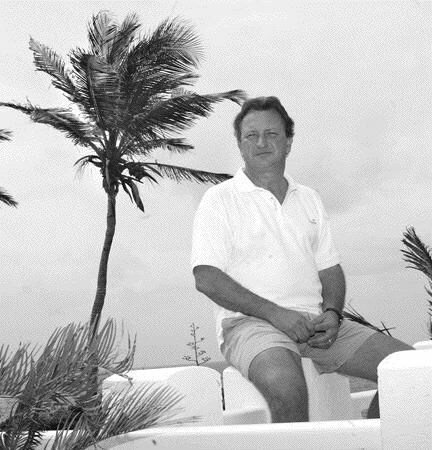 You can’t fire the owner but I would rather Melnyk sit in Barbados, be a fan and sign cheques… and that’s it. I wonder how the new GM will feel? Elliotte Friedman suggests Ron Hextall and Julien Brisebois might be among them.